Colorado Congressman Mike Coffman, who last month cosponsored a House resolution calling for the declassification of 28 pages on foreign government links to the 9/11 hijackers, has followed up on that move with a letter to President Obama urging him to release the 28-page chapter from the report of a joint congressional intelligence inquiry. “Having read all 28 pages of the still-classified chapter of the report, I strongly recommend the federal government declassify the report in its entirety and make it available to the American people. There is no reason to keep this information from the public,” wrote Coffman. 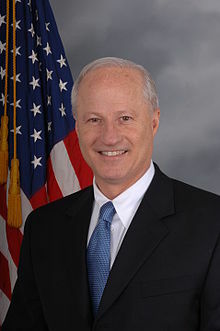 In a separate statement, Coffman said, “I don’t know how President Obama can claim that he is running a federal government that prides itself in transparency when, at the same time, he denies the American people the opportunity to better understand the circumstances behind the 9/11 attack on our soil.” A Republican and a veteran of both Iraq wars, Coffman serves on the House Armed Services Committee. President Obama reportedly assured 9/11 family members—in 2009 and again in 2011—that he would declassify the 28 pages. Meanwhile, an ongoing intelligence community review of the 28 pages for potential declassification has already taken far longer than the entire, wide-ranging congressional inquiry that produced the 28 pages as part of an 838-page report. Coffman’s letter to the president describes the 28 pages as detailing “the results of an investigation into whether or not a foreign government was complicit in the al Qaeda directed terrorist attacks on the United States.” Former Senator Bob Graham, who co-chaired the inquiry that produced the 28 pages, has said the 28 pages implicate Saudi Arabia as “the principal financier” of the 9/11 attacks. Though not decisive, Coffman’s description of the pages as investigating links to a singular “foreign government” may counter recurring speculation that the pages raise suspicions about a country or countries other than Saudi Arabia. Has your representative read the 28 pages?